One of the most picturesque places on earth, Norways attracts thousands of tourists every year. Norway is a country that offers a welcome contrast for visitors. On one hand you'll find some spectacular scenery, beautiful landscapes, and unique views. On the other hand, you'll experience an ultra-modern and forward-thinking culture. There are fascinating museums, beautiful parks and plenty of outdoor activity options for the more adventurous travellers. So, if you are thinking of visiting this year, take a look at our top 7 things to do in Norway below. A Fjords cruise is a great way to see the wonderful natural beauty of the Norwegian coastline. Formed by retreating glaciers, the Fjords are a combination of deep waters, flooded valleys and dramatic mountains and coastline. 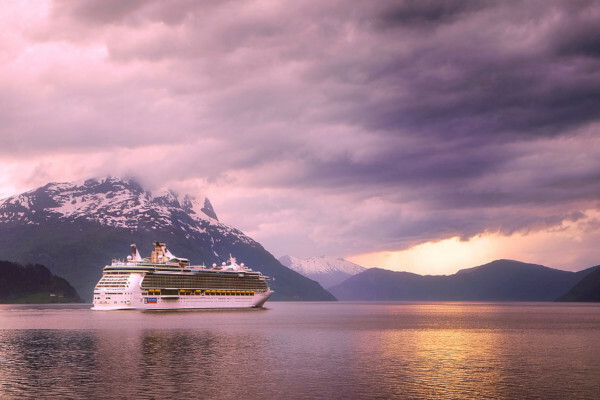 Some of the most popular areas to cruise include the southern most fjords, the northern region from Bergen to Tromso, and the Lysefjord area which can be explored on a day trip. The Lysefjord area also includes the fantastic viewing points of Kjerag and Preikestolen. Further north is the Trollfjord which is only 100 metres wide and gives you a real up-close view of the surrounding scenery. Oslo is a clean and modern city which is home to some excellent museums. If you are interested in the history of Norway, then don't miss the Viking Ship Museum where you can see the world’s best- preserved Viking ship. Then there is the Norsk Folkemuseum which is the open-air Norwegian Museum of Cultural History, the highlight being the stave church dating back to the year AD1200. For art lovers there’s the Munch museum, housing the largest collection of Edvard Munch works in the world. Other excellent museums include The Fram Museum, Vigeland Museum, the Museum of Oslo, and the Norwegian museum of Science and Technology. Norway’s largest National Park - Hardangervidda - spans 3,422 square kilometres and is made up of some of the nation's most dramatic landscapes. Highlights include viewing Hårteigen mountain which can be seen for miles around, spotting wildlife including wild reindeer and birds, or perhaps enjoying some outdoor activities such as biking, hiking or kayaking. You could spend a great deal of time exploring this magnificent place, with so much to see and do it is definitely worth a visit when exploring Norway. Although visitors to Norway often focus on seeing the Northern Lights, during the summer months, the focus turns to the Midnight Sun. This is when the sun remains in the sky for several months, allowing no darkness to fall. Tromsø, in northern Norway, is one of the best places to experience this. Visit between the 20th May an 22nd July and it will be light enough outside at midnight to read a book or go for a stroll. A historical village at the mouth of the river Oldeelva, Nordfjordeid, Olden is a picturesque and interesting place to visit. Many cruises stop at this village located at the foot of the glacier and there are plenty of things to do once you get here. Explore the village and try the local cuisine, do some shopping, visit the pretty church, or take a tour to the mountain viewing points high above the fjord. Some tours enable you to take a hike to see Briksdal Glacier and enjoy fantastic panoramic views. Located within the larger Frogner Park, Vigeland sculpture park is a fascinating park to visit on the outskirts of Oslo city. With 200 sculptures created by Gustav Vigeland, it is the world's largest sculpture park made by a single artist. The park is open year-round and is a wonderful place to walk around and admire the art. You will also find the Manor house and the Oslo city museum at the south end of Frogner Park. Climb to the top of the famous ski jump and take in the panoramic view of Oslo and the surrounding landscape. Imagine what it would feel like standing on the top ready to ski down. Afterwards you can also visit the ski museum located at the bottom of the jump. The museum offers a number of interesting exhibits on skiing history including a historic ski suit for a 9-month-old child! There is also information on Norwegian polar exploration and an exhibition on snowboarding and modern skiing. You can even try the virtual reality booth and experience what it would be like to jump off this famous ski jump. If you have any queries or questions regarding the top 7 things to do in Norway, please feel free to contact us or leave a comment below.